President Trump said on Thursday that he would not meet this month with President Xi Jinping of China, raising new concerns that the United States will not be able to complete a trade deal with China before American tariffs increase on March 2. “If there is no Trump-Xi meeting to announce the deal, its life expectancy is short,” said Derek M. Scissors, a China expert at the American Enterprise Institute. Stocks in the United States fell sharply on Thursday after reports that Mr. Trump and Mr. Xi would not meet. Investors have been anxiously awaiting the end of the monthslong trade dispute between the world’s two largest economies. The Dow Jones industrial average declined 220.77 points, or 0.87 percent, while the Standard & Poor 500-stock index fell 25.56 points, or 0.94 percent. While Mr. Trump’s negotiators previously sought to play down expectations that a deal could be reached by March 2, trade analysts and China experts viewed the lack of a formal meeting between the two leaders as a bad sign. It could also come as a surprise to the Chinese, given Mr. Trump’s friendly public meeting last week in the Oval Office with Liu He, China’s vice premier and top trade negotiator, who spent two days in discussions with Mr. Lighthizer and Steven Mnuchin, the Treasury secretary. “This on-again, off-again meeting signals the enormous obstacles that still stand in the way of the two sides reaching even a partial deal by the early March deadline,” said Eswar Prasad, the former head of the International Monetary Fund’s China division. “Trump’s conciliatory statements during Liu He’s recent visit to Washington generated a brief surge of optimism about prospects for a deal, but that has now dissipated as Trump and his administration again harden their public stance against China,” he said. Discussions are still continuing, and Mr. Lighthizer and Mr. Mnuchin will lead an American delegation to Beijing next week for more trade negotiations. Mr. Lighthizer briefed senators about the state of the negotiations on Wednesday. According to a congressional aide, Mr. Lighthizer was unable to offer specifics about how a deal with China would be enforced, including the administration’s demand that the Chinese stop forcing American companies to hand over technology as a condition of doing business there. Senators told Mr. Lighthizer that they wanted the text of any agreement or memo of understanding with China to be made public. Thus far, there is no text or document that is serving as a draft of the agreement. Trump administration officials have offered mixed signals and cautious optimism about how the negotiations have been going. “We’ve got a pretty sizable distance to go here,” Larry Kudlow, the director of the National Economic Council, said on the Fox Business Network on Thursday. Mr. Kudlow noted that the major concerns that the United States had about China’s subsidies of state-owned enterprises and ending the forced transfer of technology still must be worked out. And he acknowledged that enforcing any agreement was not easy to achieve. “How do we judge whether the Chinese are playing by the rules?” Mr. Kudlow said. Mr. Mnuchin, speaking on CNBC on Wednesday, would not speculate as to whether the tariffs could be lifted or halted if talks were still continuing by the deadline. Deep divisions remain in the Trump administration about how accommodating the United States should be with China. Mr. Trump has expressed concern about unnerving the markets, but some of his advisers, such as Mr. Lighthizer and Peter Navarro, whom Mr. Trump refers to as his “tough guy,” have urged him to continue exerting pressure on China to force meaningful changes to Beijing’s economic policies. For now, China primarily appears ready to agree to Mr. Trump’s demand that it buy more American goods. Mr. Liu promised that China would purchase five million metric tons of American soybeans during the Oval Office meeting last week. But while both countries have expressed optimism about bridging their differences, Mr. Xi is facing pressure in China not to agree to a deal that would jeopardize his country’s economic or national security. Although Mr. Trump views China’s slowing economy as a point of leverage for the United States, China experts suggested Mr. Xi faced even more pressure domestically to avoid looking weak by caving to America’s demands. “Chinese scholars and their media recently began to show new resistance to President Trump — such as using the phrase ‘no one can bully China,’” said Michael Pillsbury, a China scholar at the Hudson Institute who advises the Trump administration. 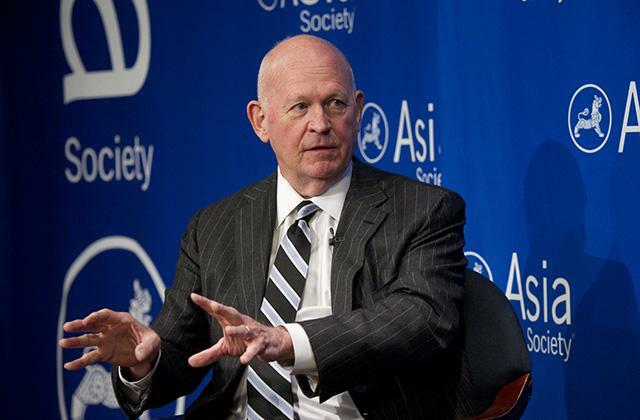 Mr. Pillsbury said that China was largely repackaging old promises of economic overhaul that Mr. Xi had made in speeches and presenting them to American officials as concessions during negotiations. “It is likely Xi has been criticized by the hawks and stiffened his position to give no concessions to President Trump other than the many reforms China was already going to undertake,” he said.